Davidson CJ, Bonow RO. Cardiac catheterization. In: Bonow RO, Mann DL, Zipes DP, Libby P, Braunwald E, eds. Braunwald's Heart Disease: A Textbook of Cardiovascular Medicine. 10th ed. Philadelphia, PA: Elsevier Saunders; 2015:chap 19. Kern M. Catheterization and angiography. In: Goldman L, Schafer AI, eds. Goldman's Cecil Medicine. 25th ed. Philadelphia, PA: Elsevier Saunders; 2016:chap 57. Cardiac Electrophysiology specialist Dr. Christopher Woods describes Atrial Fibrillation (Afib) and the Ablation procedure. Dr. Tej Singh discusses Deep Venous Thrombosis. Molly Roberts, MD, MS of the Institute ffor Health & Healing discusses natural ways to keep your heart healthy. 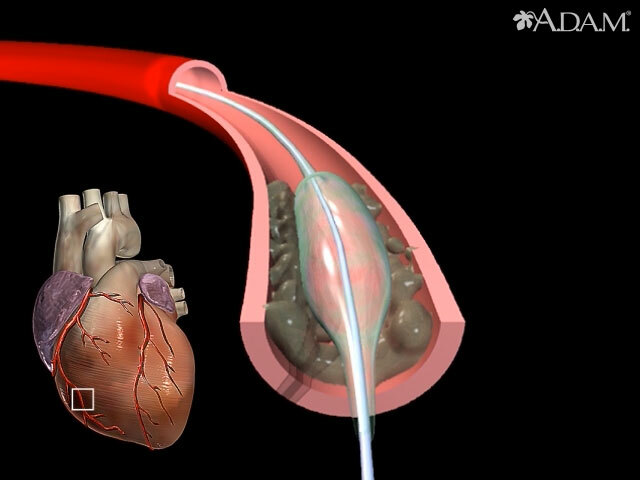 Interventional Cardiologist Dr. David Daniels describes Aortic Stenosis and the Transcatheter Aortic Valve Replacement (TAVR) procedure.